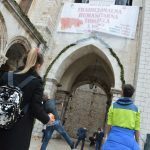 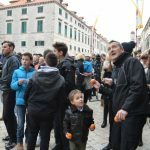 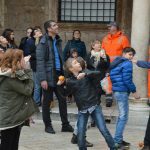 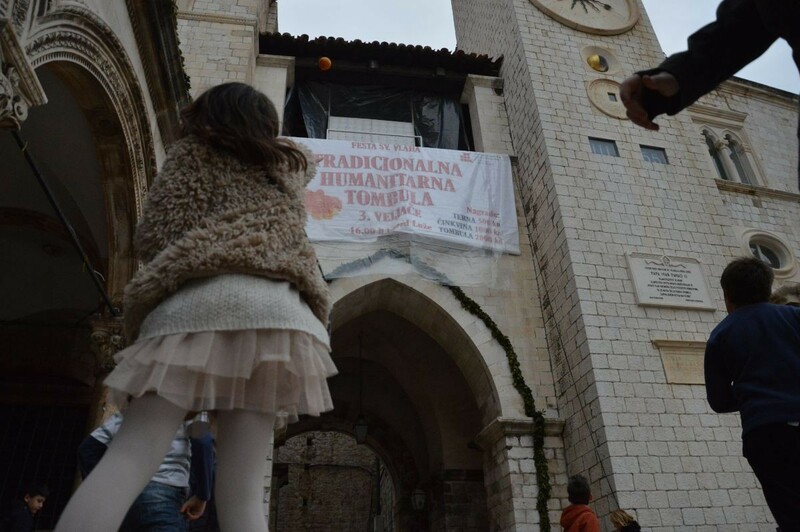 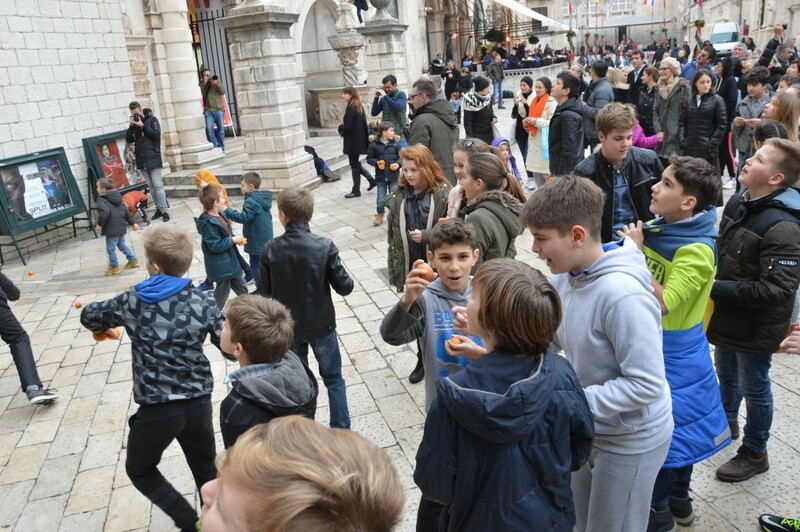 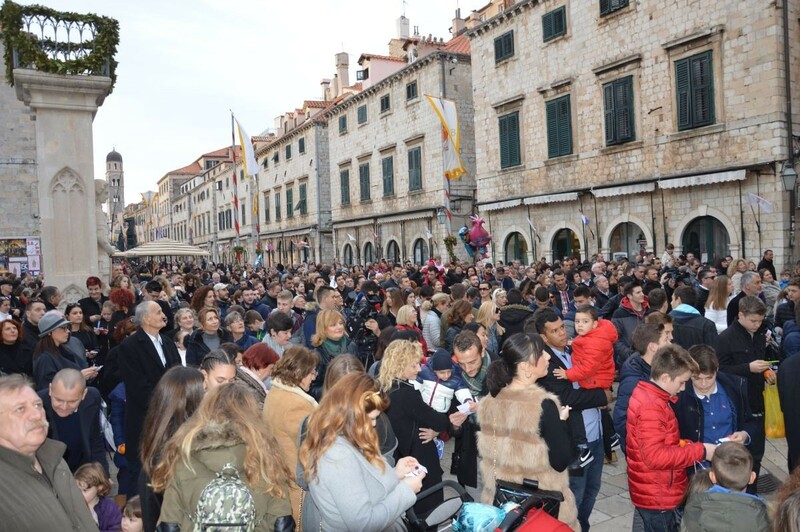 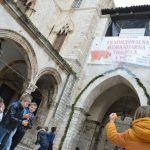 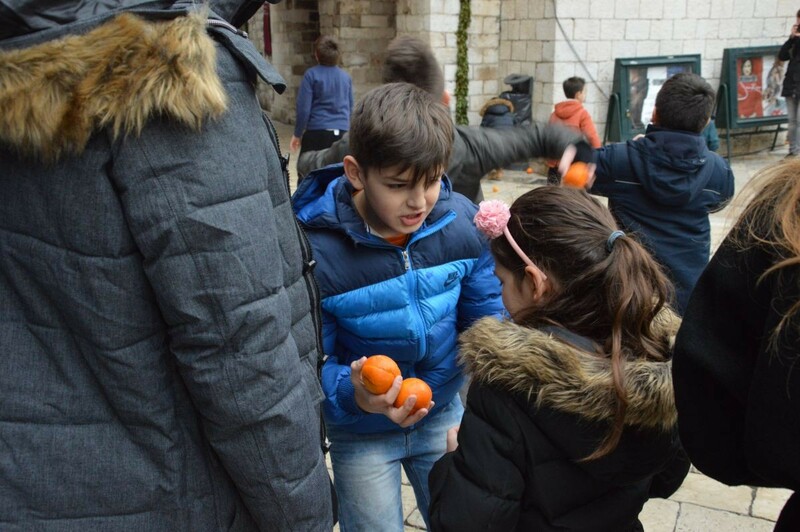 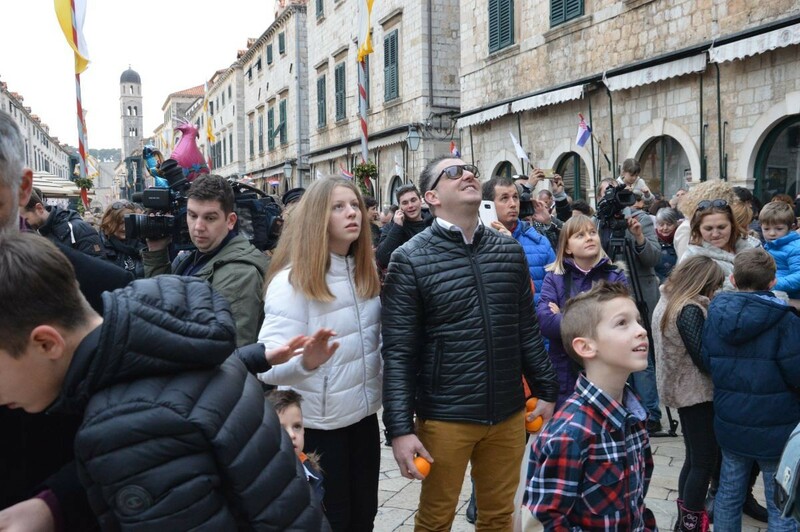 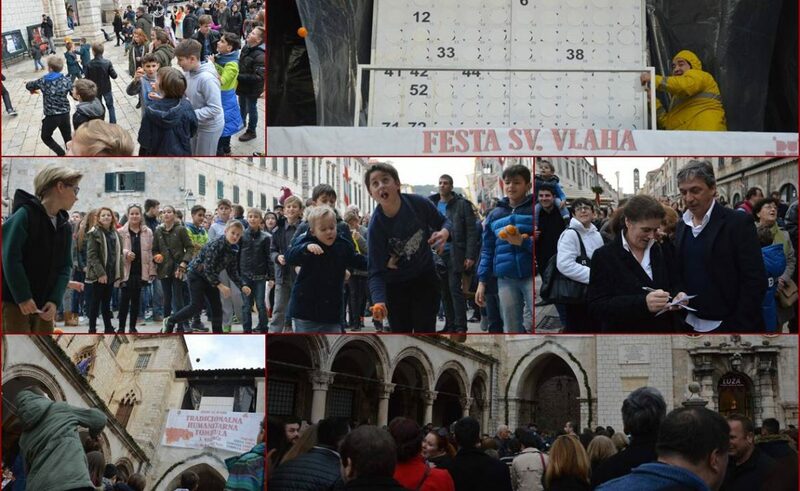 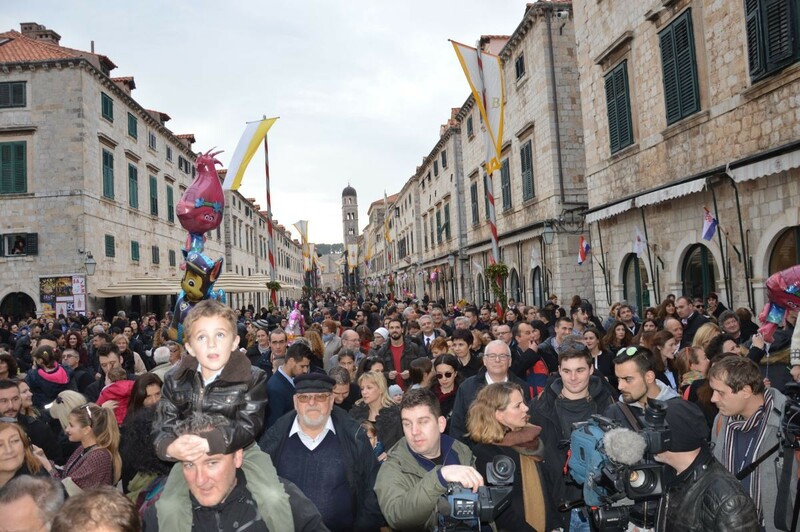 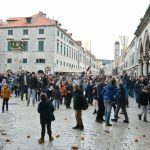 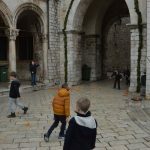 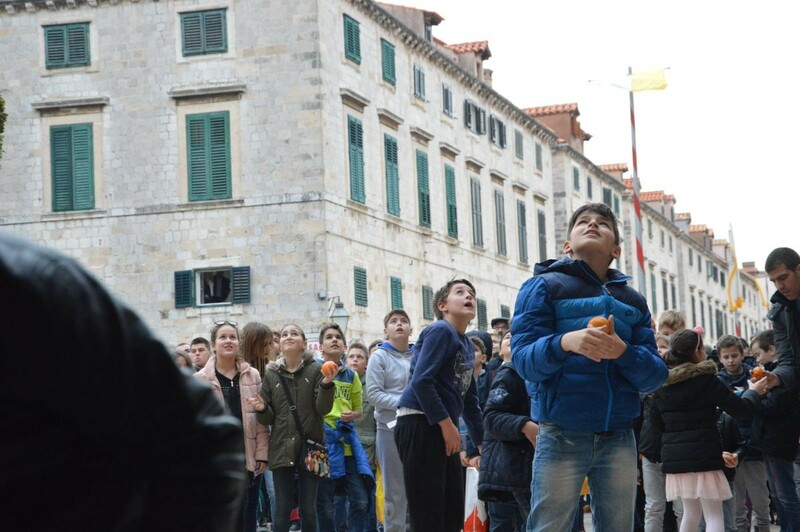 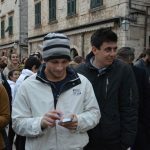 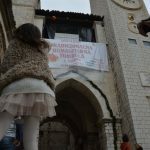 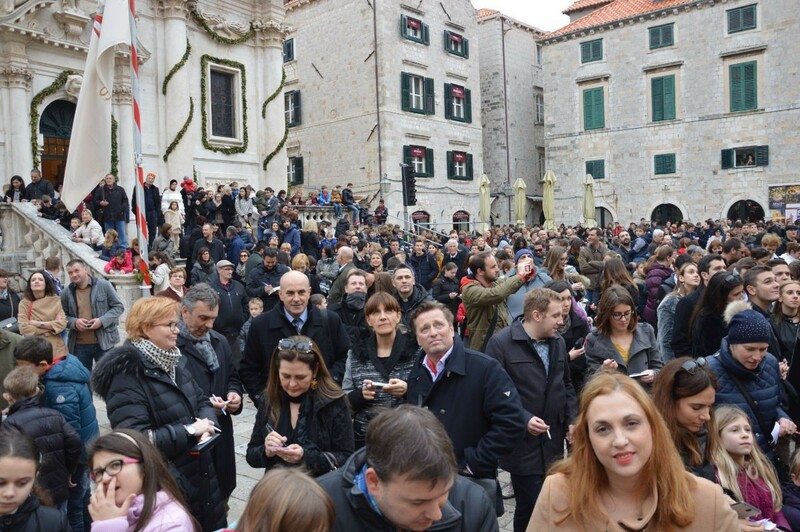 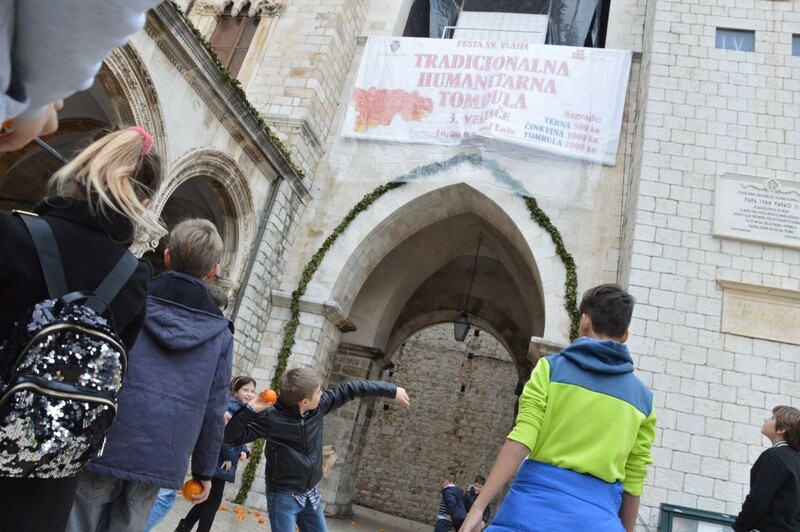 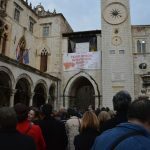 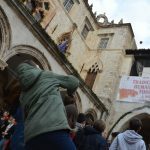 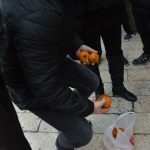 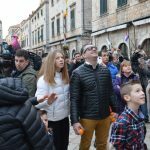 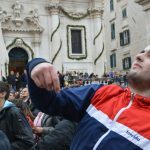 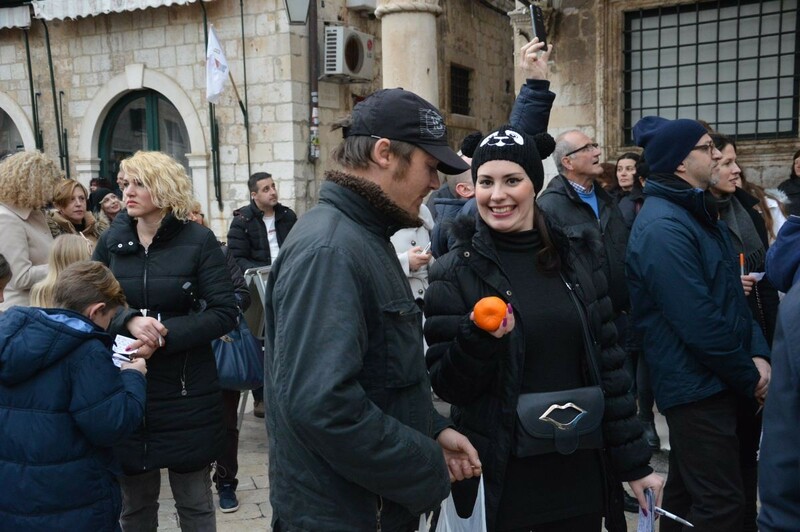 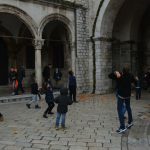 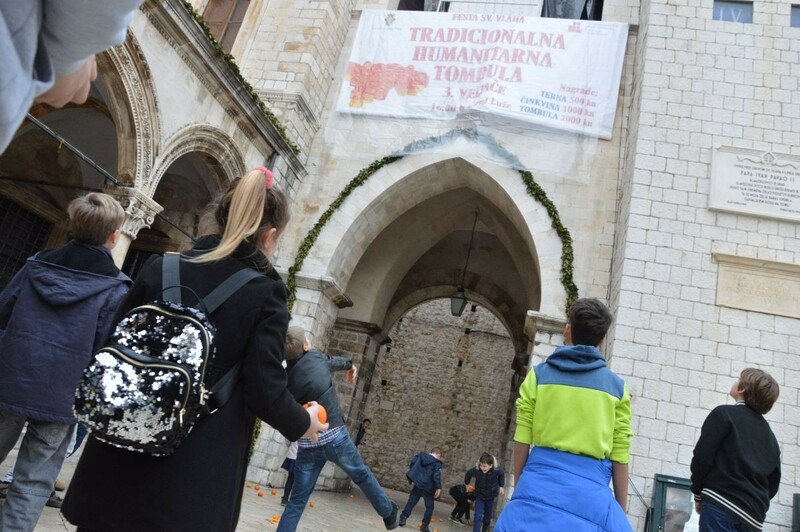 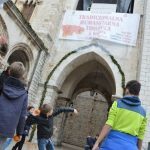 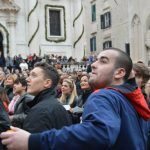 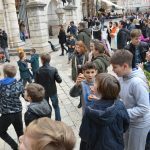 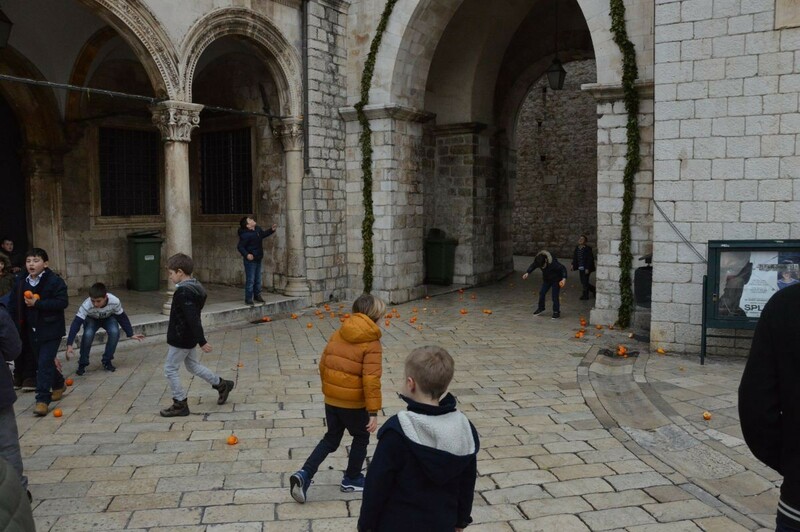 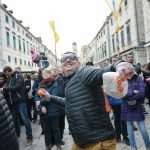 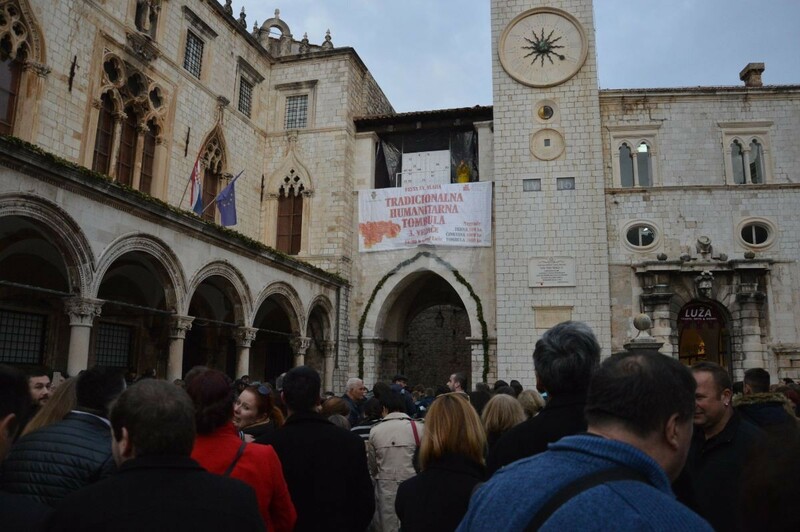 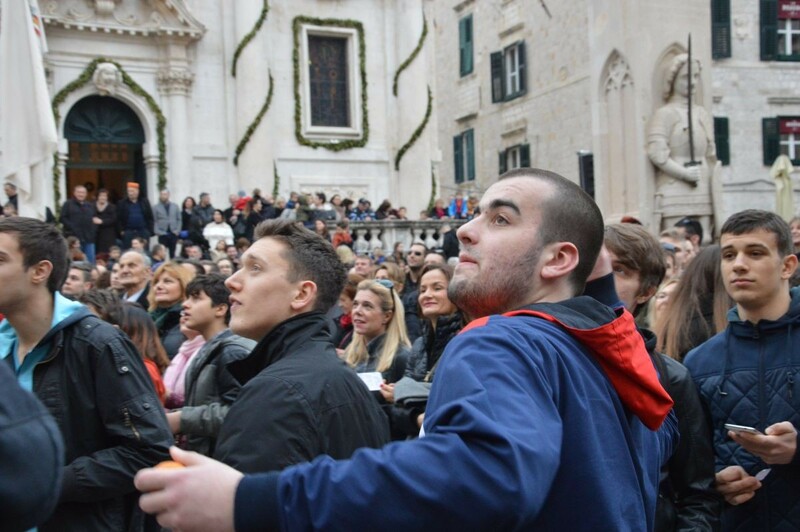 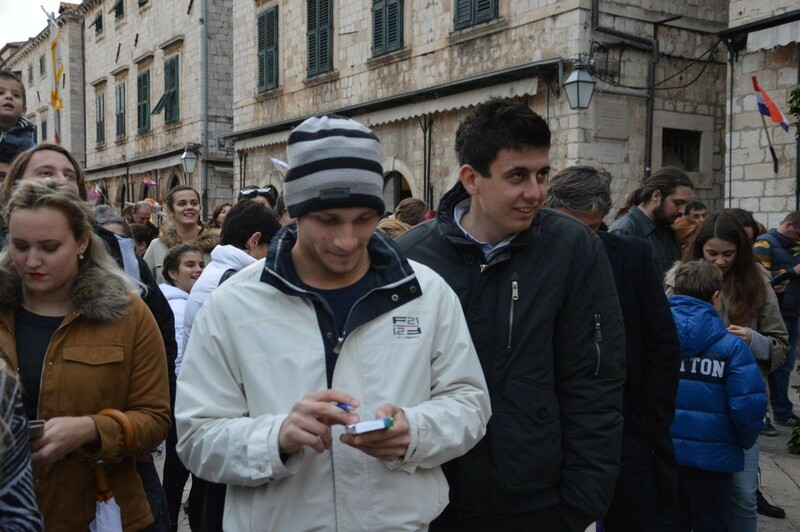 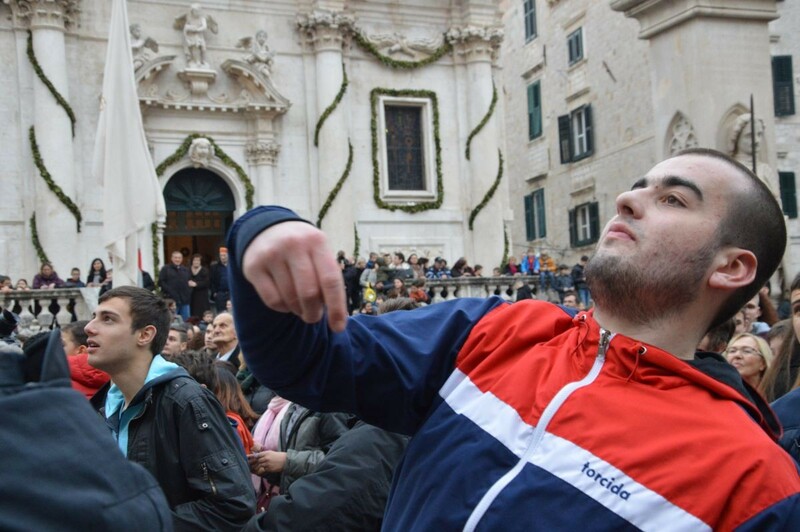 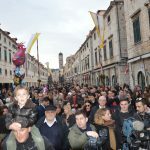 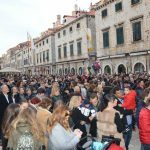 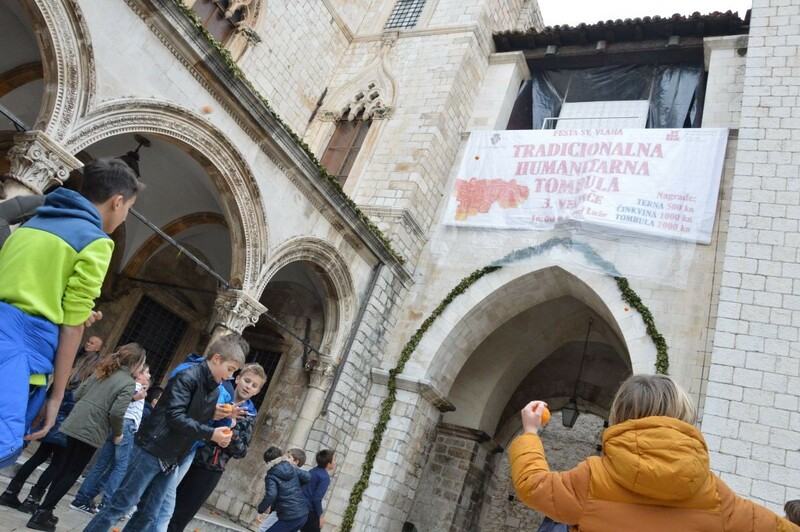 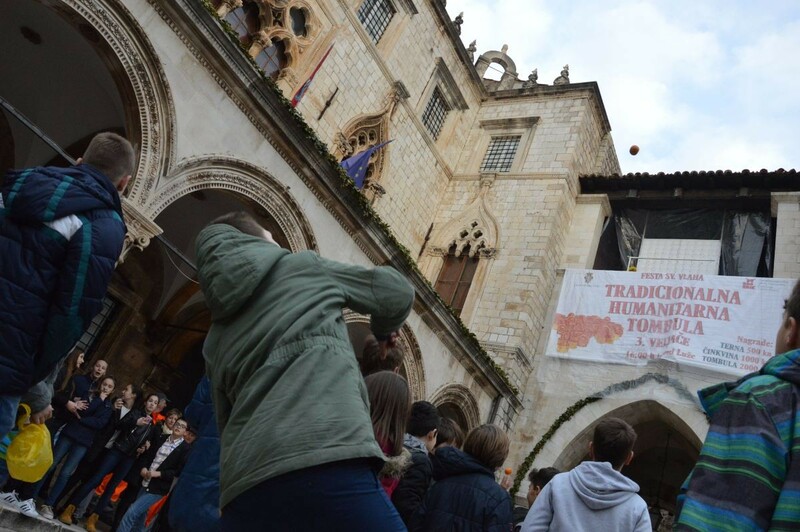 Once again, in the early afternoon on the day of the Festivity of St. Blaise, a raffle or tombula was played in front of the Sponza Palace, and again – it was very crowded! 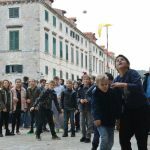 Tombula is a tradition that according to the Dubrovnik historian Josip Bersa dates back to the year 1842, a favorite game of the citizens of Dubrovnik, one that attracts standard bearers, ladies and gentlemen, festively dressed people from the Dubrovnik surroundings, Grand Masters of the ceremony, children and all visitors, always takes place on the Patron’s Day. 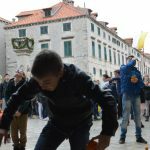 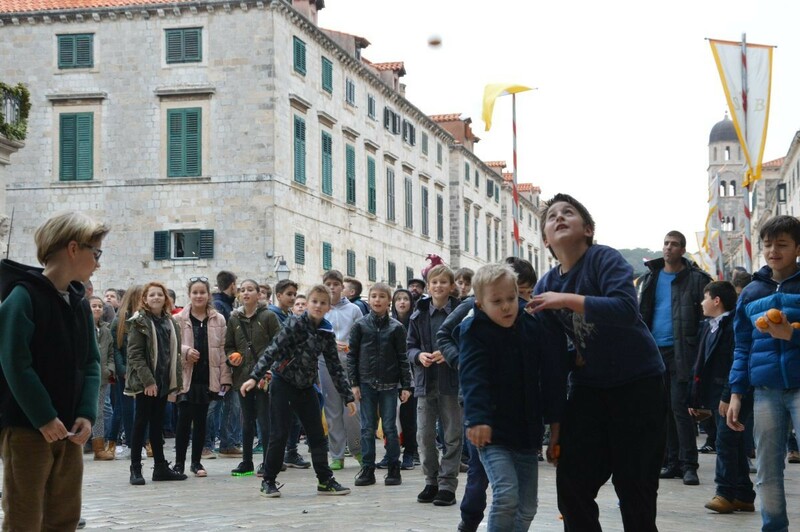 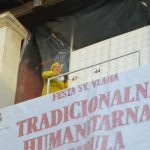 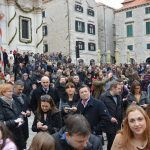 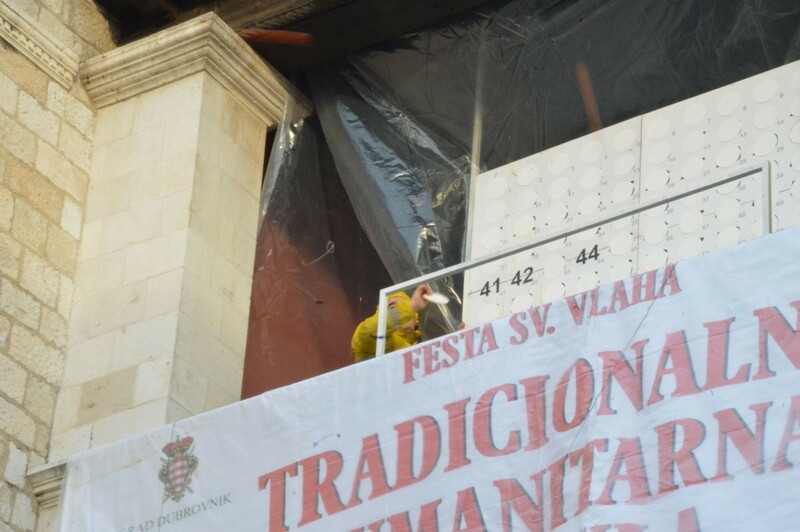 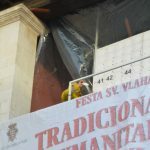 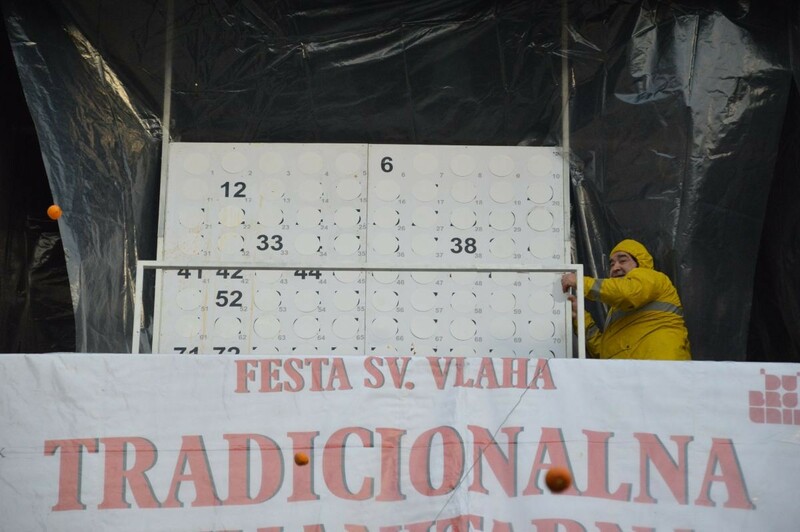 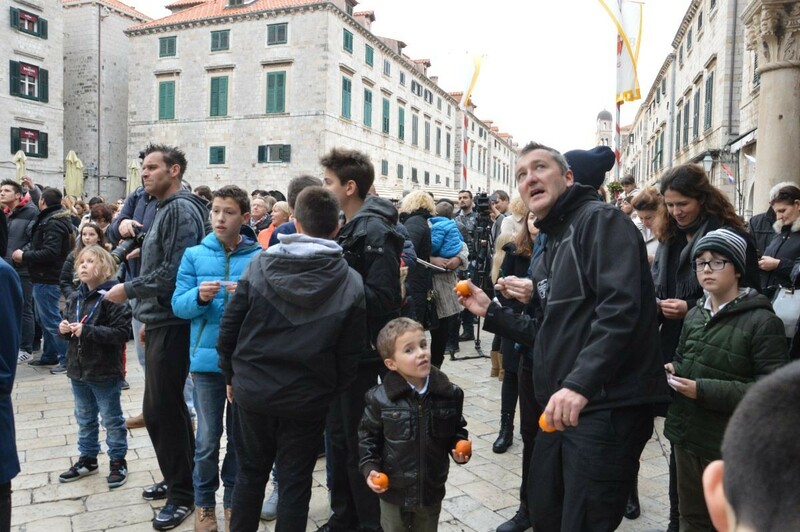 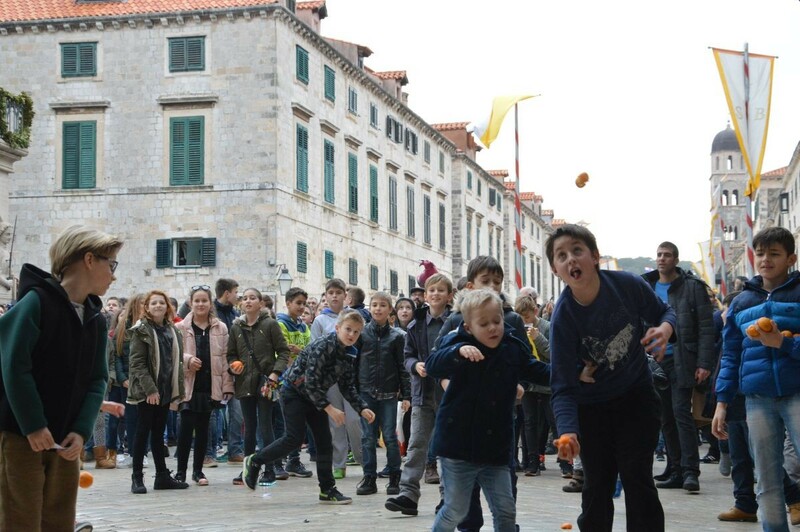 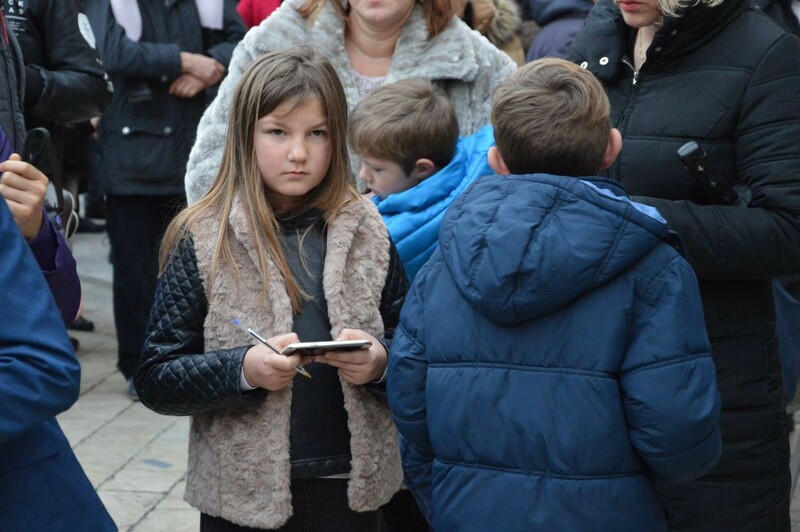 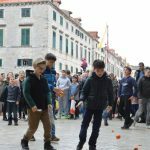 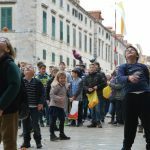 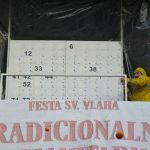 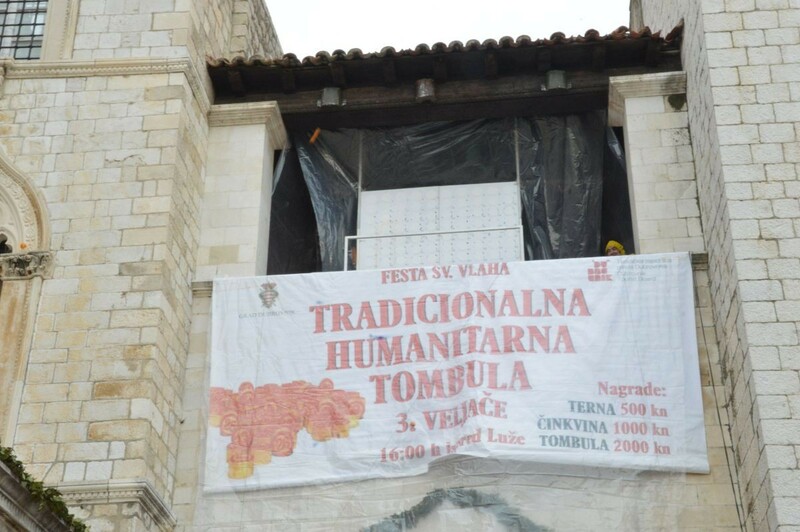 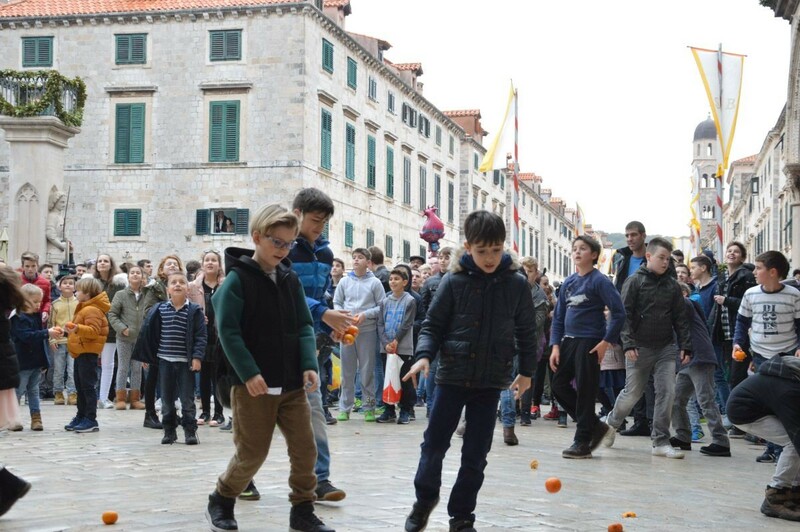 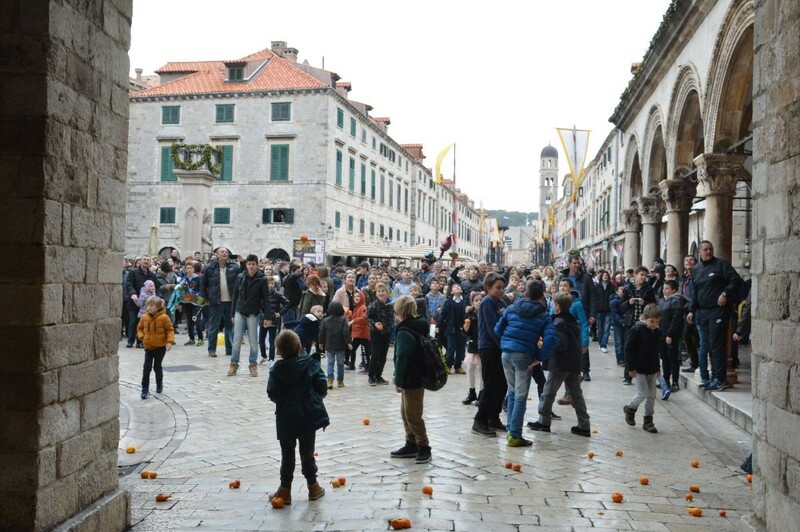 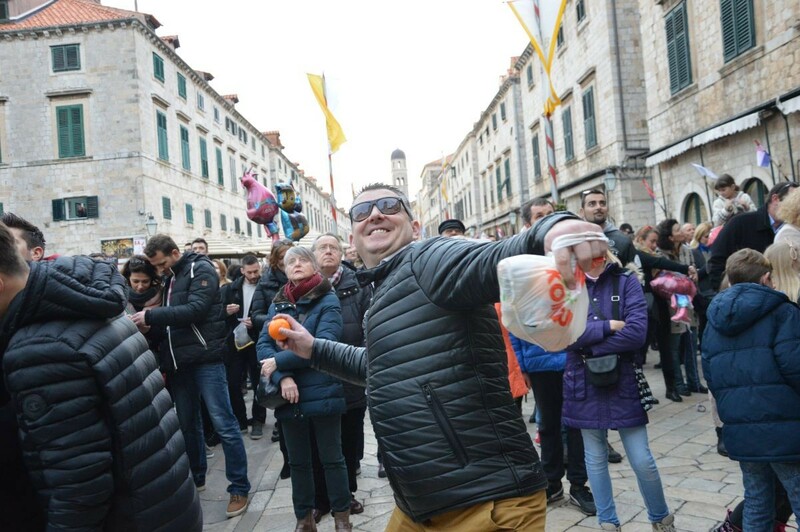 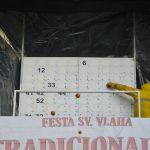 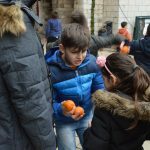 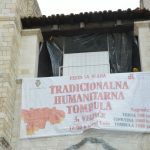 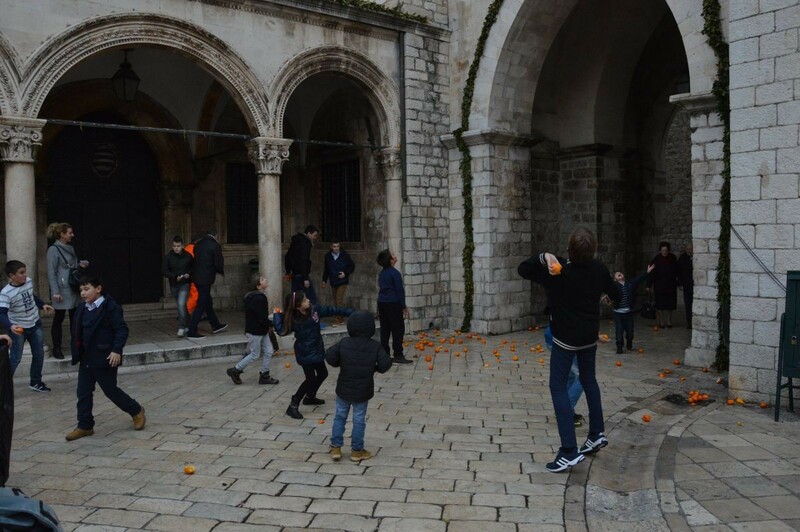 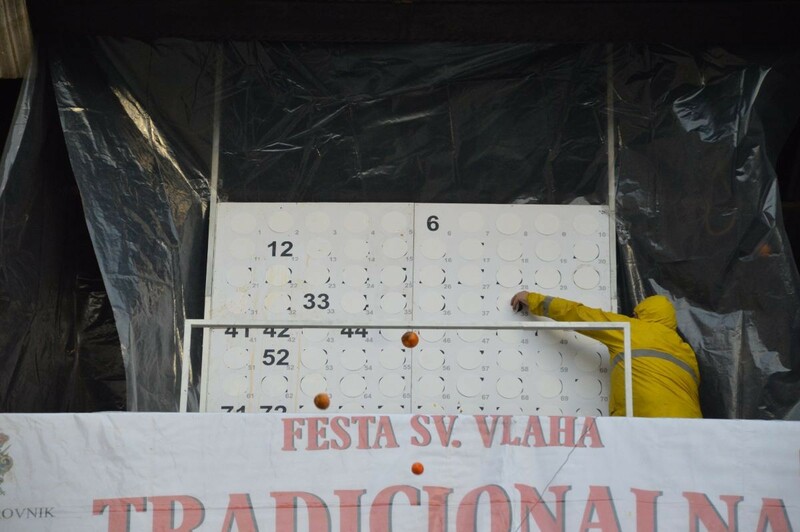 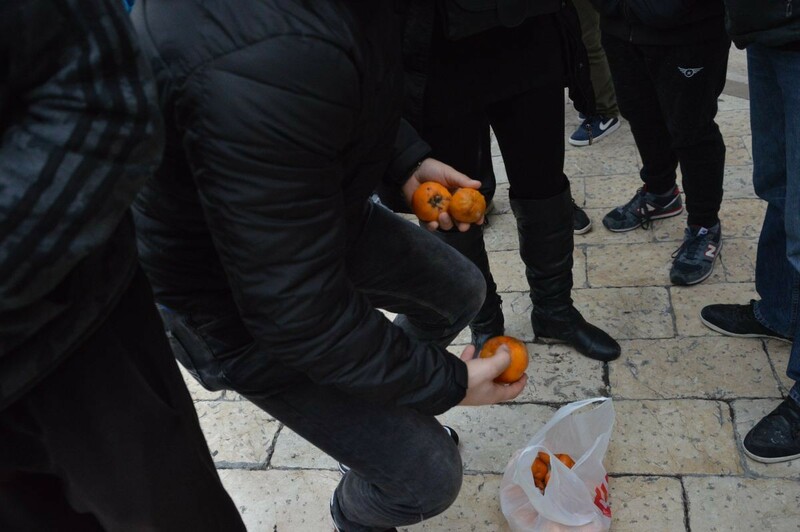 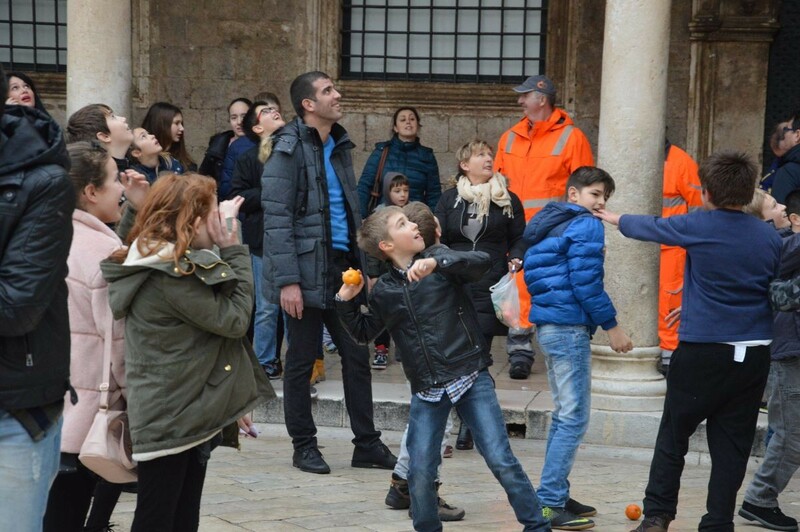 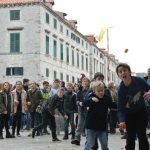 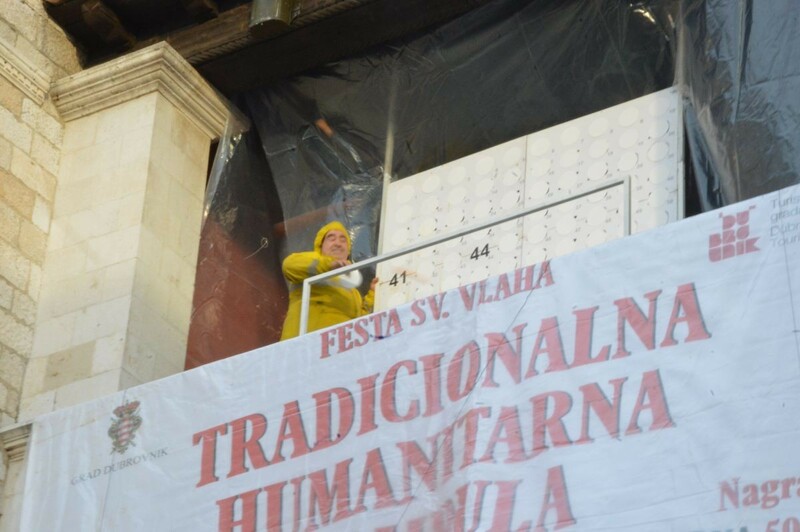 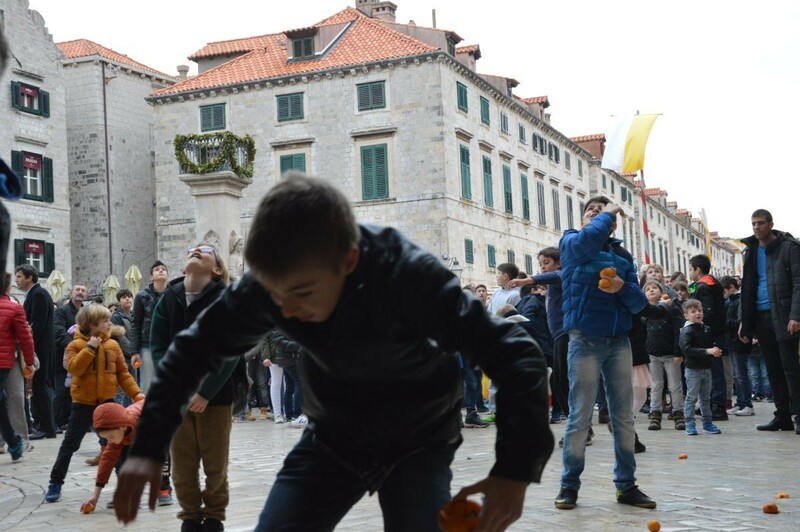 Among those people from Dubrovnik endowed with the gift of humor, the tombola raffle on Stradun included ‘hazing’, or the throwing of bitter oranges and eggs, and this is why the numbers were drawn on the terrace of the Sponza Palace. 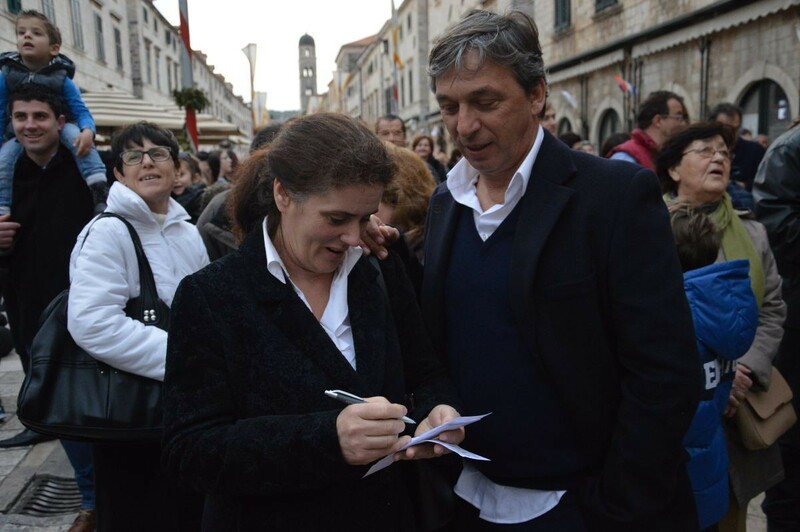 Luko Paljetak, a poet and a Member of the Academy of Arts and Sciences, reminisces in his verses about the tombola raffle at Sponza, remembering the legendary figure of Frano Miše who, while drawing numbers was exposed to the harassing comments, blows, and laughter of those gathered below on the plaza in front of the Patron’s church. 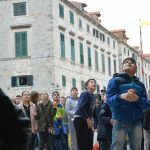 The public comments on every number drawn, some voice displeasure while others rejoice, but everyone is in good mood and enjoys themselves. 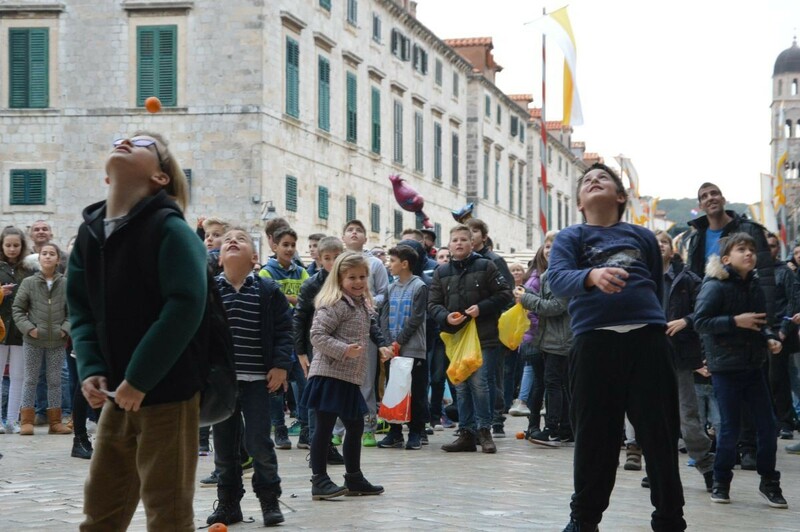 Check it out in out photo gallery and accompanying video!